Continued from Part 1, which shows the prepping the trout. In the video Silverbrook Owner, Dan Hay will demonstrate cooking the fish. 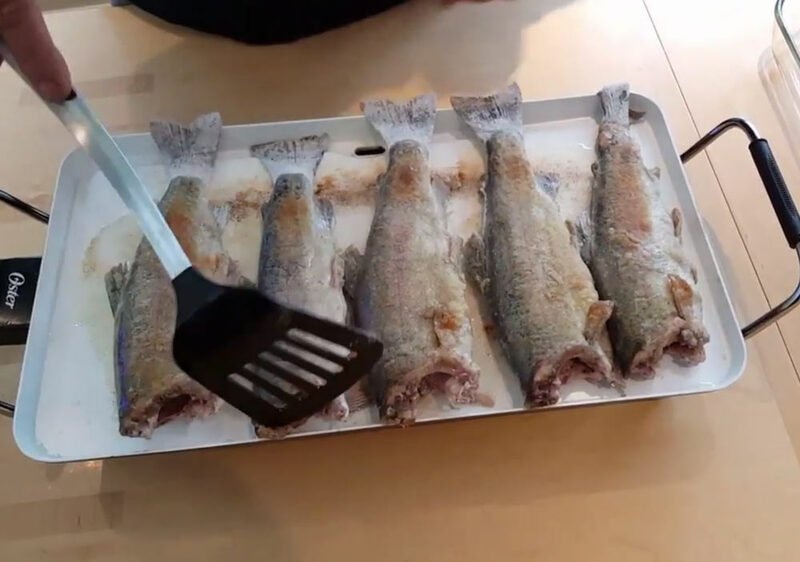 Once the fish have been browned on both sides put them in an oven safe pan and put in the pre-heated oven for (Dan says 5 minutes – Stephanie says 10 minutes).